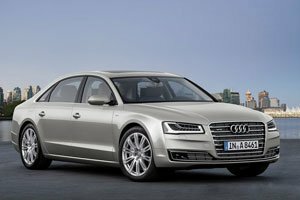 Audi's flagship A8 gets 15 more horses from its 4.0-litre V8, and a slew of cutting-edge technologies to make it the ultimate luxury sedan. Most effective car with the conti elegance feel that's makes u feel great. The car is grand with the feel of driving in style.